Packaging, the last step before a customer meets your product. A thoughtfully designed one will enhance the customer experience while elevating the brand’s identity. Vifa, a premium audio brand, challenged us with designing the packaging for their Helsinki speaker while relying on their unique approach to people-inspired storytelling and Nordic influenced aesthetics. The challenge was clear: How to design a winning customer experience while clearly communicating Vifa’s market position as a premium lifestyle brand? There is no immediate answer to such questions and at design-people we sketched numerous ideas before designing the one that would showcase our clients’ business and their ambitions. Simple, elegant, yet luxurious and exclusive. the packaging for Helsinki comprises an outer sleeve and a box inside it. To highlight the range of colors available, the sleeve comes in four different tones, reflecting the choice in Kvadrat fabric covering the speaker nested inside. Highlighting Helsinki’s tactile qualities, there is a patch of Kvadrat textile lodged in each sleeve. Each sleeve is decorated with a unique visual storytelling, reinforcing the message of freedom of movement, a key benefit to a small, portable sound marvel. The box inside accentuates Vifa’s commitment to timeless aesthetics. 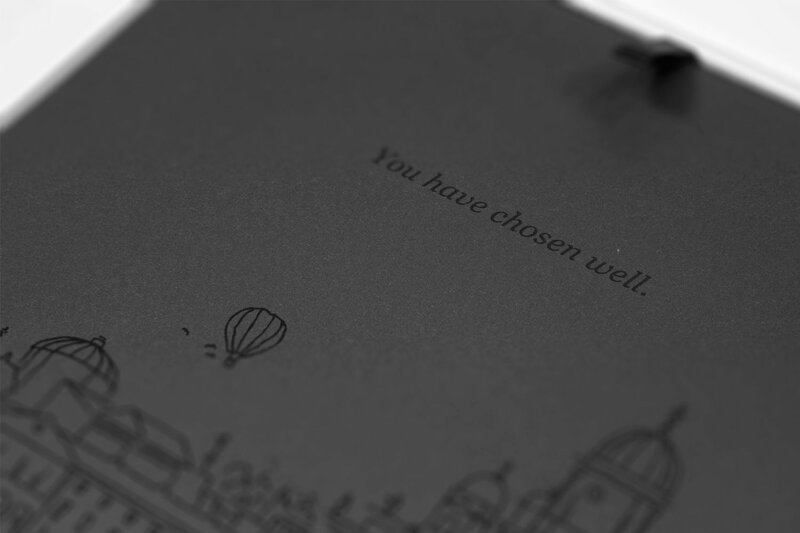 Riddled with details, it opens face forward welcoming the buyer with the following caption: “You have chosen well”. The loudspeaker inside is thus presented like a ring in a box – intriguing. Once opened, the interior of the package is simple and classy, consciously chosen not to distract the user from the interaction with their new speaker. Below the speaker, in small compartments, lie cables and adapters, a carry bag to protect the product and delightful postcards encouraging the customer to share their newly discovered affection for the brand. 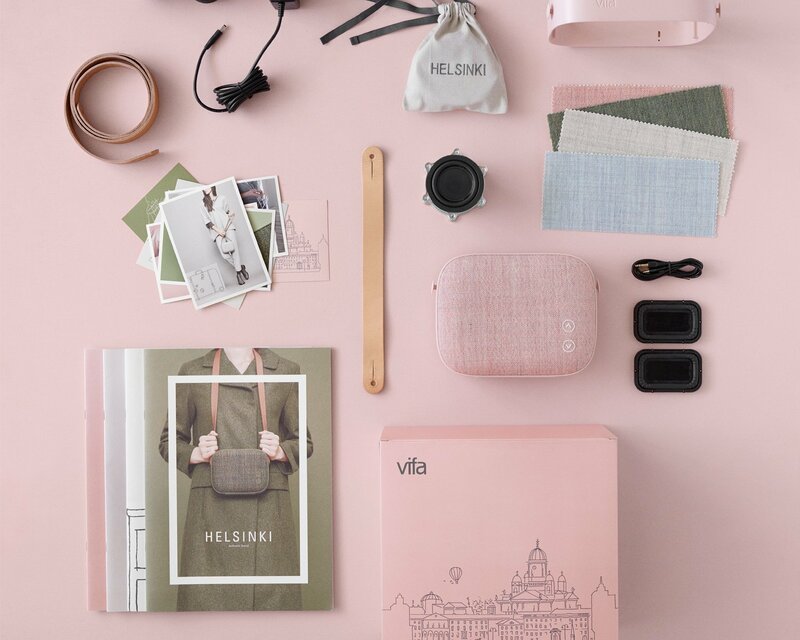 Vifa’s packaging for Helsinki showcases our commitment to make brands covetable through a communication approach that seamlessly ties innovation and storytelling together for a delighted customer and ultimately a better market impact.